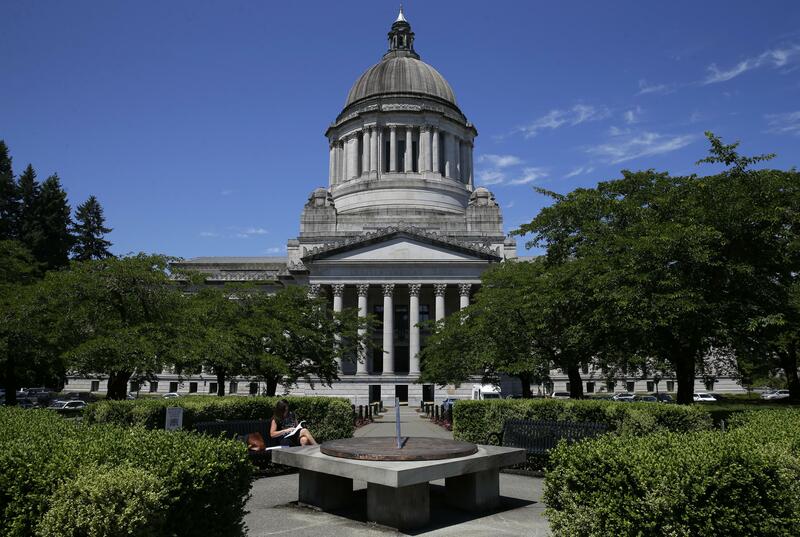 UPDATED: Sat., Jan. 6, 2018, 9:24 a.m.
OLYMPIA – The Washington Legislature kicks off its 2018 session Monday with more challenges than lawmakers may have expected when they finally left town last July after a record stay at the Capitol. Even-numbered years are supposed to give the state a shorter, 60-day session to tweak the budget and discuss policy changes, compared to the 105-day odd-year sessions that require the passage of the state’s two-year budgets and major program or policy changes those budgets might support. Last year, that meant a major revision in the state’s public school system, and the way property taxes are collected to pay for basic education. The changes took years of study, discussion and negotiation, but when legislators passed them, many hailed the new system as a generational change in schools. Some also hoped another generation of lawmakers would handle any changes. The state Supreme Court said it liked what the Legislature did to improve the state’s basic education system, which included more money for teachers and school staff and a new formula for state payments for students. But justices said the Legislature is doing some of that a year late. Lawmakers spread out the increased money from the state over two years, in part because of differences among the state’s fiscal year, the school districts’ fiscal year, and the calendar year, which decides when property taxes are levied and collected. The justices said all of the money should be available by the start of the 2018 school year, a deadline lawmakers set for themselves several years ago. That deadline would require as much as $1 billion extra for schools in 2018. The Legislature failed to pass a two-year capital construction budget last year, which was some $4.4 billion in building, water and infrastructure projects all across the state. The capital budget itself had near-unanimous support, but a final vote was linked by Senate Republicans to a change in state water rights law to address a state Supreme Court ruling that affects rural and suburban construction projects that need to drill wells. In 2017, the state Supreme Court put more responsibility on local governments to ensure that permits for new wells in rural or suburban areas won’t draw too heavily on the water rights that guarantee supplies for existing wells. The Whatcom County case has resulted in construction slowdowns or halts in some Washington counties. Senate Republicans repeatedly passed a bill to override the decision but House Democrats couldn’t agree on what’s known as a “Hirst fix” after the court case. A controversial aspect of Washington’s aquaculture involves leasing areas in the Puget Sound to companies that grow Atlantic salmon in large pens encased by nets. Last August one of the pens near Tacoma, with 305,000 non-native salmon, collapsed, releasing tens of thousands of the fish into the Sound. Many were captured by tribal and local fishermen; some starved to death because they had no experience surviving in the wild, although a few were found as far as 42 miles up the Skagit River. Opponents of the practice say it introduces pollution and non-native species that can affect an important ecosystem for Washington’s Pacific salmon. Legislation is being proposed to put a moratorium on new leases and renewals, while Washington State University, Western Washington University and the University of Washington combine for a study of fish aquaculture in the Sound and the effects of the August pen collapse. Proposals to outlaw “bump” stocks, restrict the number of rounds a magazine can have, require tougher storage for guns in homes or stronger background checks for so-called assault weapons might all get hearings. The problem for gun legislation in the past has been getting through a House where Democrats have only a two-seat majority and some are strong supporters of Second Amendment rights. Their leaders also have been reluctant to force members to take a controversial vote on the issue when they suspected Senate Republicans wouldn’t bring it to a vote in that chamber. That impediment is gone with Democrats controlling both chambers. Senate Democrats, with some Republican support, introduced a bill last year that would require employers to cover contraception at no cost if they offer medical insurance as a benefit. With key committees controlled by conservative Republicans, it didn’t get a hearing; the change to a Democratic majority suggests it or a new version could get further this year. Until Thursday, the 2018 session looked like one in which marijuana wouldn’t be a major topic of discussion. That ended with U.S. Attorney General Jeff Sessions’ announcement that federal prosecutors would be free to pursue cases in states that have legalized recreational or medical marijuana. Lawmakers from both parties joined Inslee and state Attorney General Bob Ferguson in saying they’d protect Washington’s voter-approved legal marijuana system, which generates substantial tax money as well as sales and jobs. They didn’t have any firm plans the morning of Sessions’ announcement, but they have a few weeks to come up with some. Legislators and staff are undergoing mandatory sexual harassment training and an outside consultant is reviewing policies and procedures. Some lawmakers are saying sexual misconduct complaints against legislators shouldn’t be protected by confidentiality agreements. Lawmakers currently claim an exemption from the state’s Public Records Act, which allows them to refuse the release of documents related to sexual misconduct, as well as other records like calendars. The legality of that exemption is being challenged by the state’s news media, with a judicial ruling likely during the first month of the session. The side that loses, however, is likely to appeal. Published: Jan. 5, 2018, 9:02 p.m. Updated: Jan. 6, 2018, 9:24 a.m.